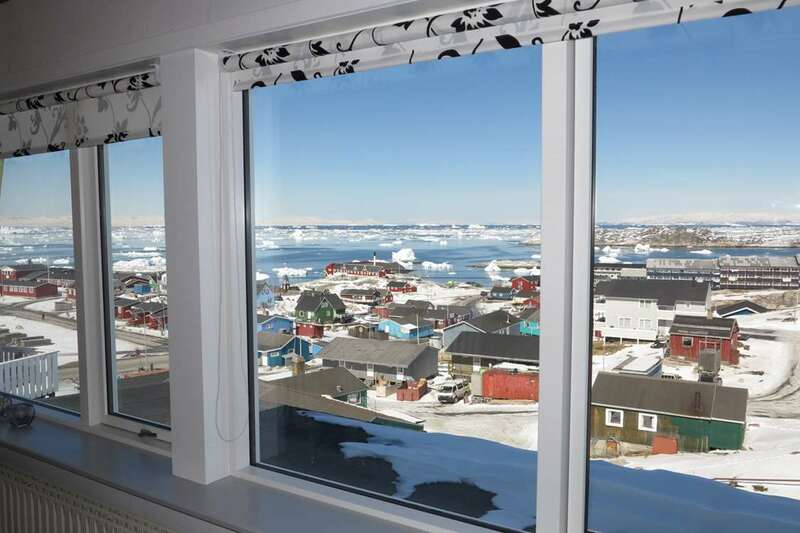 Unnuisarfik is an accommodation amenity situated in the centre of Ilulissat. It overlooks the north of the town and Disko bay. 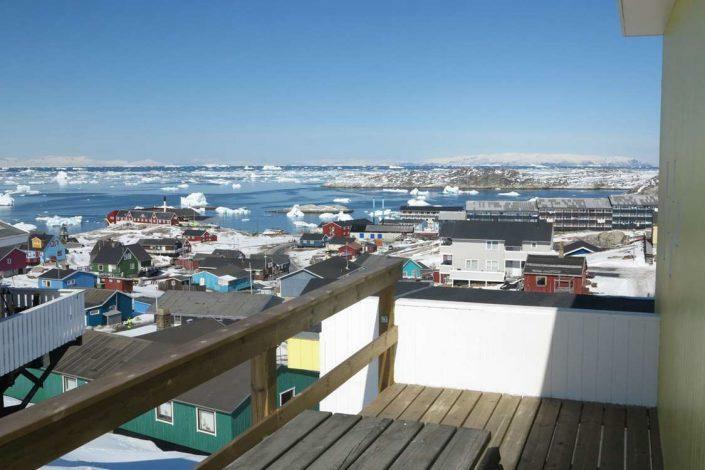 Unnuisarfik accommodation comprises 2 single rooms and 4 double rooms with a shared kitchen and lounge area. Bed linen and towels are provided. Self catering facilities are also available. The kitchen has everything you might need for cooking, as well as a tea/coffee machine and a fridge. 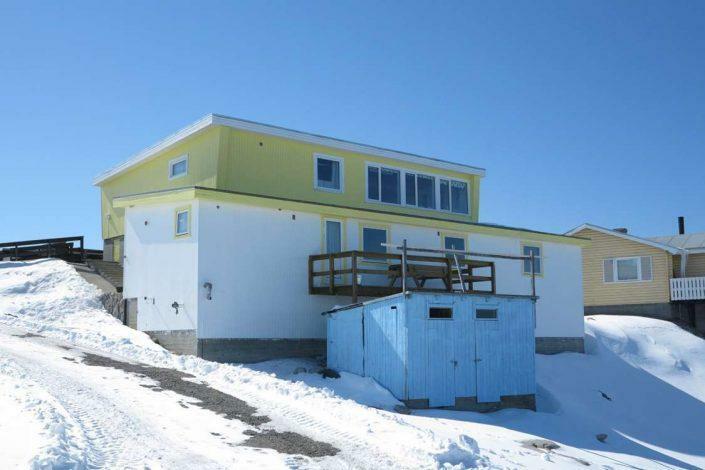 The building is fully furnished and equipped with bathroom and toilet, radio, colour television, payphone and washing machine. Unnuisarfik is in a quiet area of the town, and there is a small play area for children at the house. All overnight guests are responsible for their own transport to and from the house.